The Dodd-Frank Wall Street Reform and Consumer Protection Act of 2010 (15 U.S.C. § 78u-6) (Dodd-Frank) set forth new rewards and protections for persons who, in the wake of the 2008 financial crisis, report corporate fraud and wrongdoing. At the same time, it has enhanced whistleblower protections under the Sarbanes-Oxley Act of 2002 and sought to improve the Occupational Safety and Health Administration's (OSHA's) handling of whistleblower retaliation complaints. Under the Dodd-Frank whistleblower protections, whistleblowers are protected from retaliation if they have provided information or testimony to the Securities and Exchange Commission (SEC). Dodd-Frank also protects whistleblowers who provide information that is either required or protected under: the Sarbanes-Oxley Act of 2002, the Securities Exchange Act of 1934, and any other rule or regulation under the jurisdiction of the SEC. Some commentators have observed that Dodd-Frank covers a wider scope of whistleblowing activity than does Sarbanes-Oxley. Also, while the application of Sarbanes-Oxley is limited to public companies and their subsidiaries and contractors, Dodd-Frank covers all companies. In any case, this area of the law is new and still developing, and reconciling the differences in the scope of the anti-retaliation provisions of the Sarbanes-Oxley Act and Dodd-Frank Act is a complex task. 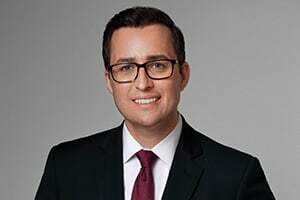 If you live or have been employed in New York or New Jersey and have a Dodd-Frank retaliation claim, you can contact Attorney Eric Dinnocenzo at (212) 933-1675 for a free consultation.